TTUrental.com is a family owned business. We only manage properties that we own! We believe this makes a major difference in the quality of personal service, attention and care that our Tenants receive. Our clients are not dealing with just another property management company that's only concerned about their bottom line. We value our relationship with our clients and the reputation of our company. With over twenty years of experience backing us up, TTUrental.com offers extraordinary student housing, in the areas Texas Tech students most prefer. LAWN MAINTENANCE IS ALWAYS INCLUDED when you lease one of our properties. MONITORED SECURITY ALARMS INCLUDED, is another great amenity that our homes offer, too. TTUrental.com takes great pride in the appearance and security of our properties. Our staff at TTUrental.com is also very experienced in student homes for rent in Lubbock, TX and that is why they strive to have solutions that will meet your individual residential leasing situations. One of the many things that have helped our company build its good reputation is the relationship we have with our Tenants. TTUrental.com knows that business starts the minute the client contacts us and that is why our clients are treated in a friendly and hospitable manner. So, if you are a Texas Tech University student (or parent!) 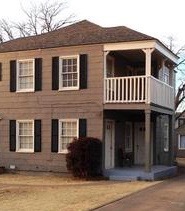 looking for Lubbock student housing, then look no further. We have several types of student homes for lease in Lubbock, TX and they all are conveniently located, just minutes away from Texas Tech University. TTUrental.com is not, in any way, associated with Texas Tech University. ​We're just Red Raider supporting Alumni!